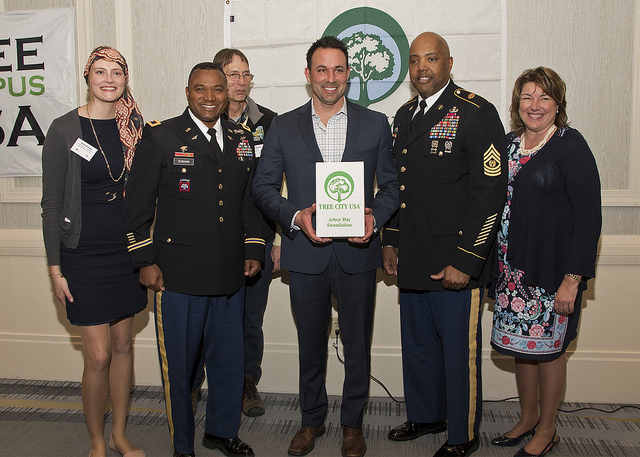 West Point celebrated 18 years as a Tree City USA. 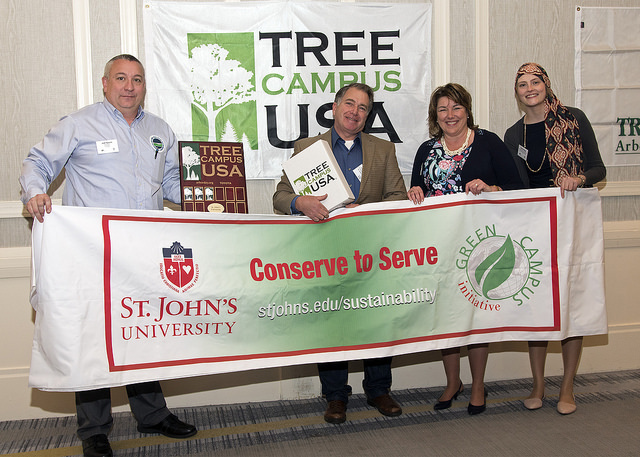 St. John’s University enters its 6th year as a Tree Campus USA. Congrats! 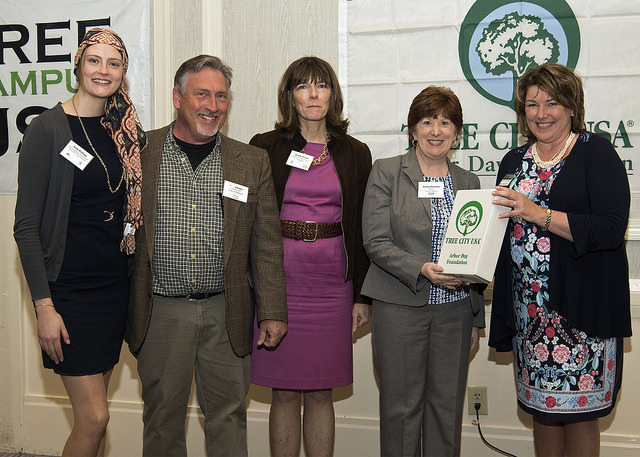 Sally Kellogg and Mary Kramarchyk flank Albany City Forester Tom Pfeiffer, DEC Deputy Commissioner Kathy Moser, and Albany Mayor Kathy Sheehan. 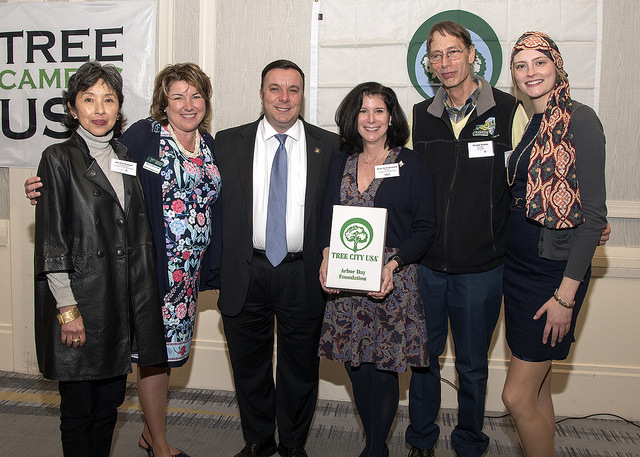 Albany received its Tree City USA recognition once again, and Deputy Commissioner Moser and Mayor Sheehan welcomed the award ceremony attendees. 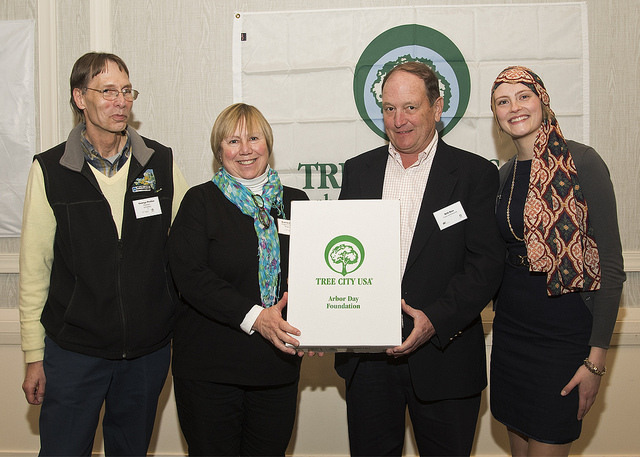 Tuxedo Park is honored for becoming a new Tree City USA. 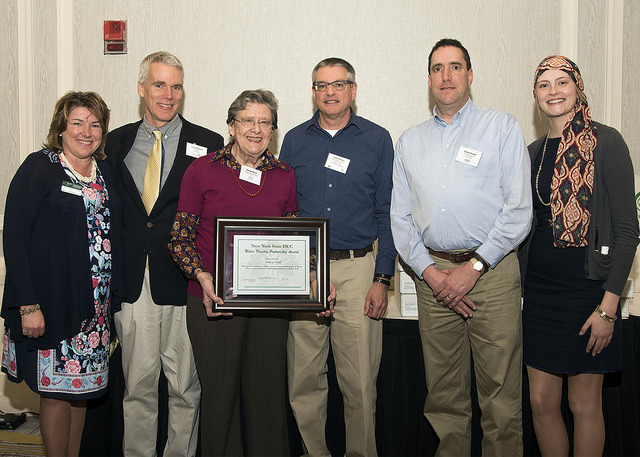 Great things are happening in Warwick’s young urban forestry program, including becoming a Tree City USA for the first time!